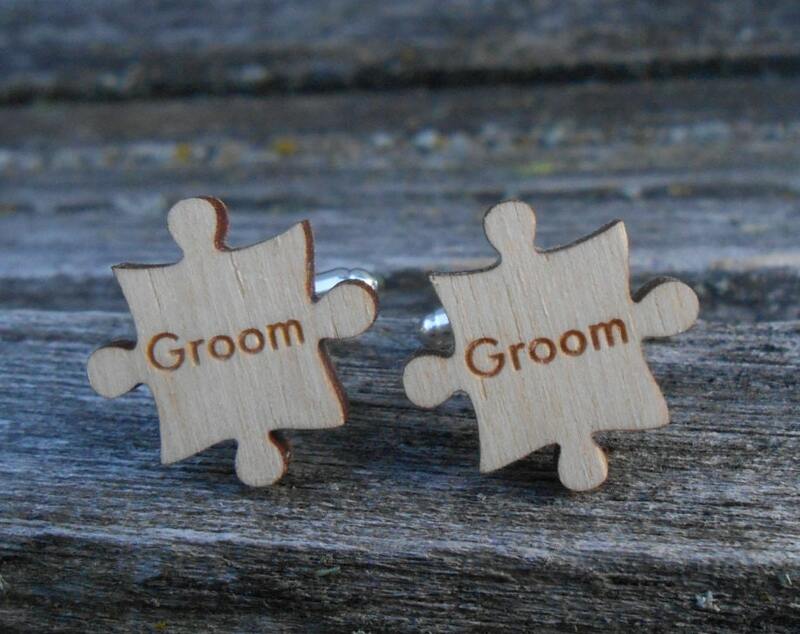 Personalized Puzzle Cufflinks. 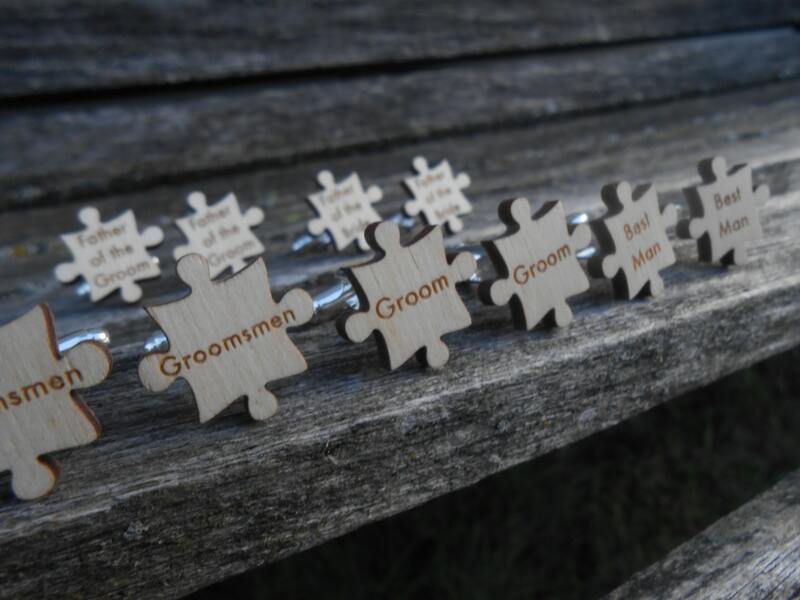 Wedding, Groom, Best Man, Groomsmen Gift, Dad, Father Of The Bride/Groom. Silver Plated. These cufflinks are totally unique! 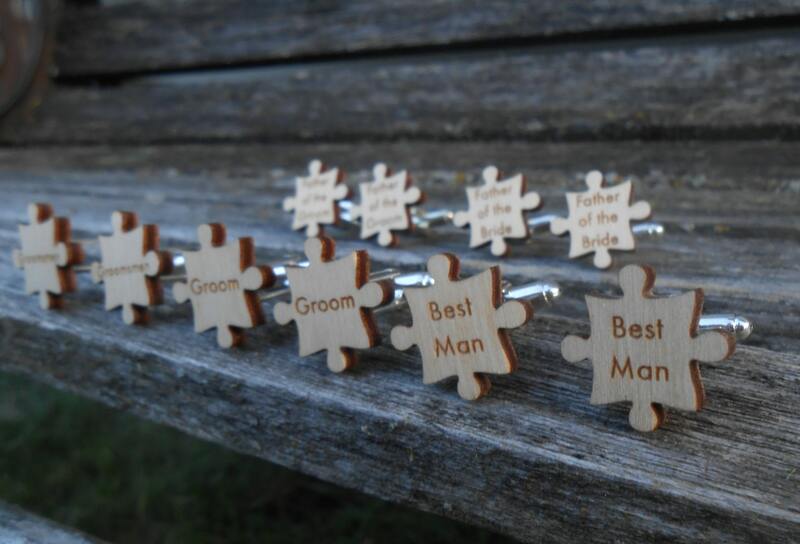 Each one is shaped like a puzzle piece and has a title on it. 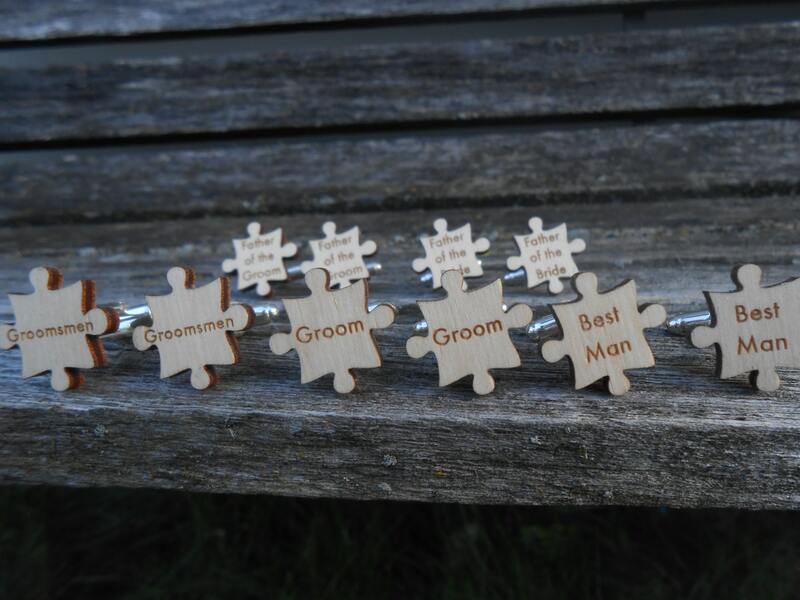 They are laser cut from Baltic birch and are totally customizable! The edges are a rustic, dark color. These would be a great gift for your wedding party! 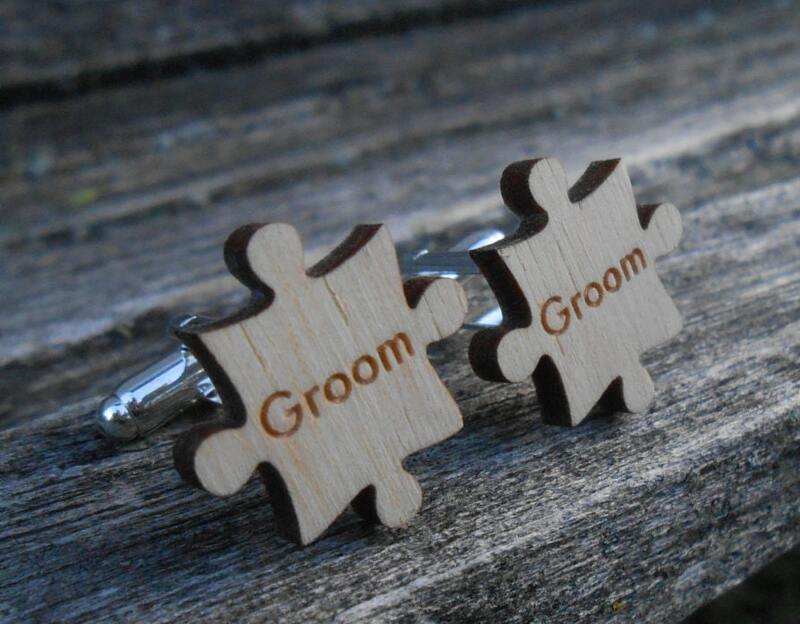 Give them to the Groom, Best Man, Dads, Ushers, Groomsmen, etc. If you would prefer these to be personalized with names instead, please let us know. The base of the cufflinks can be done in silver or gold. *****PLEASE LEAVE A NOTE AT CHECKOUT WITH WHAT YOU WANT ENGRAVED ON EACH ONE. Please send us a message with any questions!